Der Artikel Hubert Klyne Headley (1906-1995): Symphonie Nr.1 für Radio wurde in den Warenkorb gelegt. During the 1940s Hubert Klyne Headley became internationally known as a composer, concert pianist, and conductor. Given the former popularity of Headley's music - Howard Hanson described the California Suite as a "brilliant score" - and its immediate emotional accessibility, its disappearance from the concert hall is to be greatly regretted. 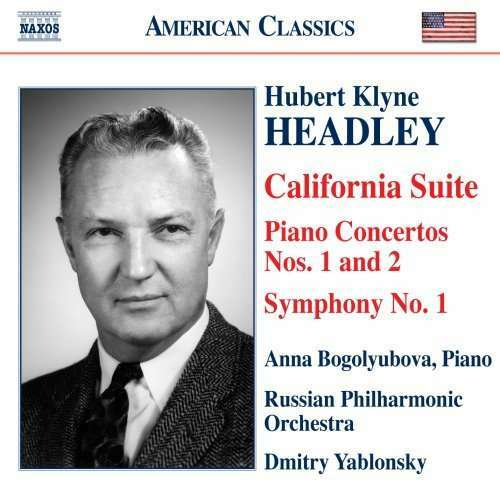 Throughout all of Headley's compositions one can sense beneath the veneer of romantic impressionism an undercurrent of greater depths that leads the listener to, as Headley himself put it, "The way I have always felt inside." 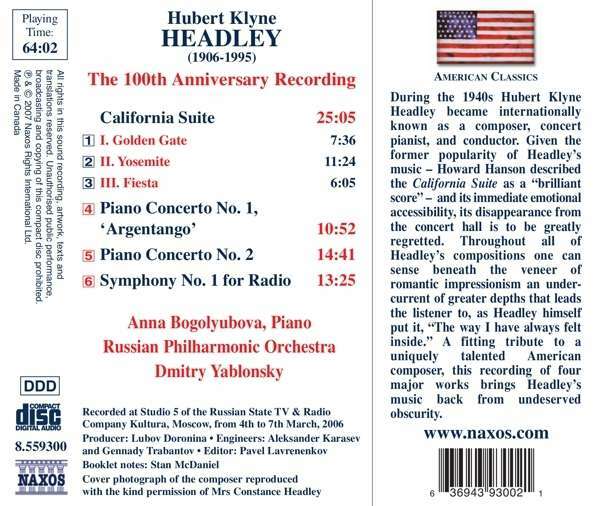 A fitting tribute to a uniquely talented American composer, this recording of four major works brings Headley's music back from undeserved obscurity." Hörprobe Track 4: Piano Concerto No. 1, "Argentango"
Piano Concerto No. 1, "Argentango"